Foreign Minister Julie Bishop said Wednesday she was "very disappointed" at the failure of the latest bid to spare two Australians on death row in Indonesia, as Jakarta signalled that execution preparations were almost complete. An Indonesian court on Tuesday dismissed a bid by Myuran Sukumaran and Andrew Chan to avoid execution by challenging President Joko Widodo's rejection of their pleas for clemency. 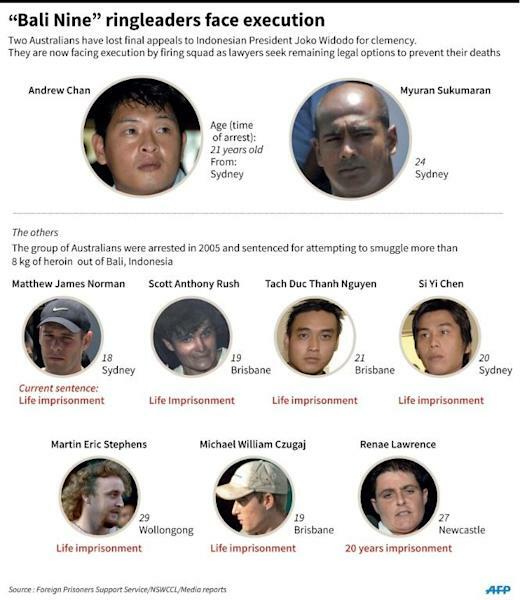 The pair, ringleaders of the so-called "Bali Nine" drug smuggling gang, were arrested for trying to traffic heroin out of Indonesia in 2005 and sentenced to death the following year. Their appeals for presidential clemency, typically the final chance of avoiding the firing squad, were recently rejected by Widodo. "We are very disappointed that the appeal was lost at this point," Bishop told the Nine Network. "But I understand that the lawyers are considering a further legal avenue and they have about 14 days in which to do so." Lawyers for Sukumaran and Chan urged Attorney-General Muhammad Prasetyo to respect the rule of law and not execute the men pending an appeal. "We live in a state based on law and this is part of the legal process," lawyer Todung Mulya Lubis told reporters. However, Prasetyo said later that preparations for a new round of executions, which would include the Australians, were "about 90 percent" complete and repeated the government's tough line. "Despite the pressure, we will go ahead... this is about being consistent in enforcing the law and secondly about the sovereignty of the state," he said, without giving an exact date when the executions would take place. Widodo insisted on Tuesday that foreign nations must not interfere in Indonesia's right to use the death penalty. Prasetyo said that 10 drug convicts would be included in the next round and the final step before the executions would be the transfer of convicts from several cities to Nusakambangan, an island off Java where they will be put to death. The Australians are among a group of foreigners, including a Frenchman and a Brazilian, who are facing imminent execution after their appeals for clemency were rejected. The first round of executions since Widodo came to power took place in January, with six people including five foreigners put to death. Bishop said Canberra would continue to lobby Widodo to show forgiveness. "We can only hope that they will see the value of these men's lives, both men have been rehabilitated in the most remarkable way," she said, adding that meeting Sukumaran's mother recently was heartbreaking. "She hugged me so tightly that I could hardly breathe and just begged me to do all I could to save the life of her son, whose own life had been rehabilitated in such an extraordinary way." 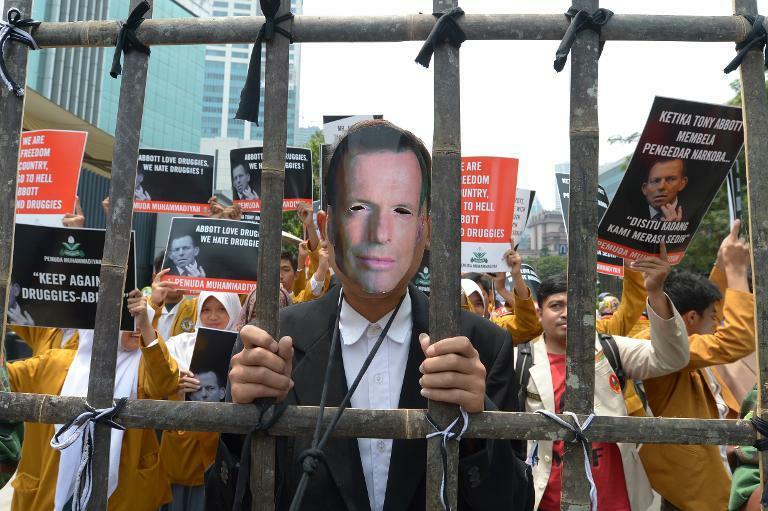 The looming executions have dramatically heightened tensions between Australia and Indonesia, fraying ties that were only just recovering from a spying row. Brazil and France have also been ramping up pressure on Jakarta, with Paris summoning Indonesia's envoy and the Brazilian president refusing to accept the credentials of the new Indonesian ambassador. Jakarta responded angrily to the snub, with Vice President Jusuf Kalla reportedly saying that he was re-evaluating the purchase of fighter jets and rocket launchers from Brazil.